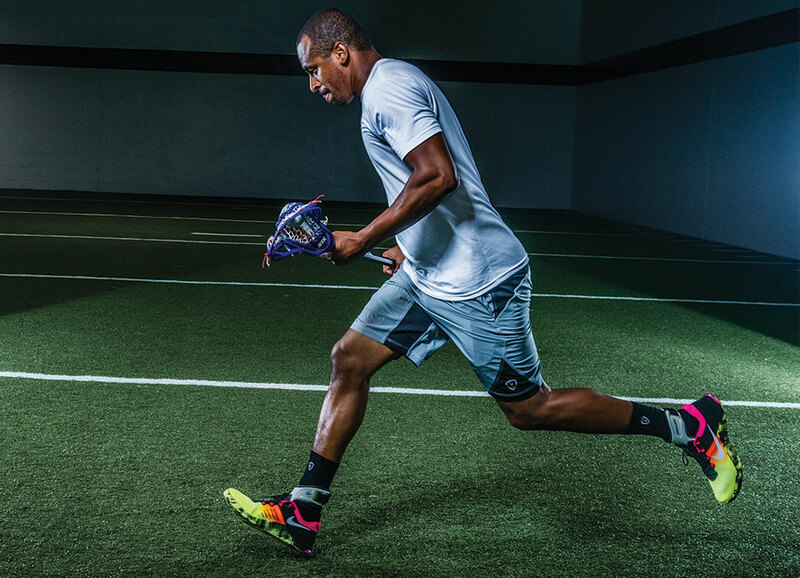 We recently sat down with US National Lacrosse team member and Ohio Machine Midfielder Kyle Harrison to discuss his offseason plans and what he is doing to prep for the 2017 season. DonJoy Performance: How often are you practicing during the offseason? Is it mostly conditioning and weight training? Kyle Harrison: For me, at this point in my career as I enter year 12 as a pro, it’s all-important. Conditioning, recovery, weight training (more injury prevention & maintenance work). Including my college career, I’ve been training for about 16 years straight, so I like to try and figure out new ways to train to keep things interesting. I’ve been getting into cycle classes recently, as well as yoga. Pick up hoops will always be my favorite form of cardio, but it’s important to try and change things up and keep things fresh. DJP: What braces do you prefer to wear when you train in the off-season? What areas do you need to be protected and strengthened before the season begins? KH: I pretty much wear TRIZONE wherever I can! I’ve just grown used to the compression feeling and feel confident in my movements while wearing TRIZONE. I’ve got historically weak ankles, so, the POD has been great for me as I’ve been able to train/play freely without fear of a bad ankle roll in the off season. DJP: Have you ever had a serious injury that affected your season? If so, did you need to get proper rehabilitation? KH: Absolutely. I’ve pulled my hamstring, torn my quad, and just last season strained my groin, which sidelined me for 4 games. My quad was the worst, as I decided to rehab it rather than get surgery. But, I had an incredible team at Evolution PT in LA that got me through it and I actually didn’t miss a game, or National Team event. It took me a good year and a half to mentally feel like myself again, but, I was playing a high level through the injury, thanks to my incredible PTs. DJP: What’s more important to you when it comes to pre/post season training; cardiovascular training or strength building? Or is there pretty much an even balance? KH: For lacrosse, it’s a combination of those unfortunately. You need it all! You could argue that it depends on the position you play, but for me as a midfielder, you need it all. DJP: What do you do on your off days when you decide to rest, instead of train? What helps you recover during your rest days? DJP: How often do you take rest days, especially during your off season training periods? KH: I try to train hard 5 days a week, with two days of either recovery, or active recovery. 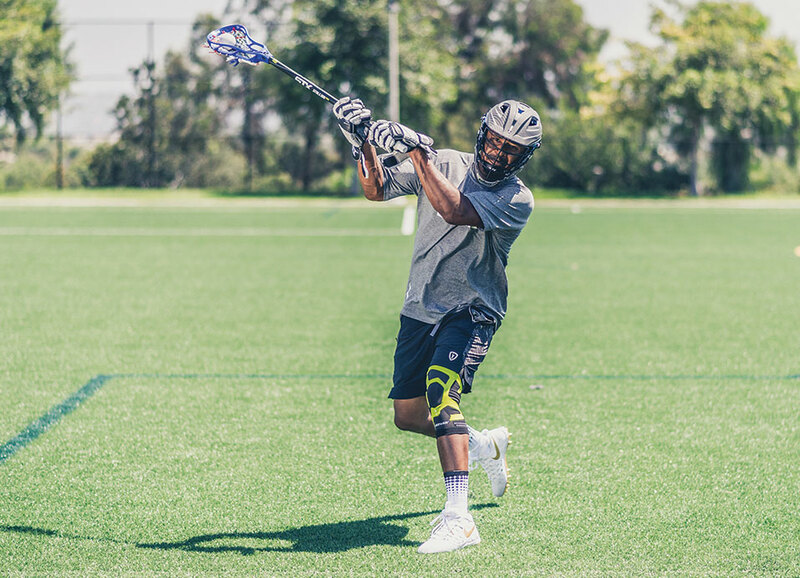 As lacrosse player there are so many different things you’ve got to work on to be on top of your game. Agility, speed, strength, core strength, cardio, skill work, it’s all needed! So, even on my days off from training, there’s some sort of skill work being done.